Weekday blues anyone? We have the perfect solution to make this your most exciting week ever! Droom, India’s first online marketplace for buying and selling automobiles, gives you a once-in-a-lifetime opportunity to ride in a supercar – turn your boring weekday into an intensely thrilling experience! 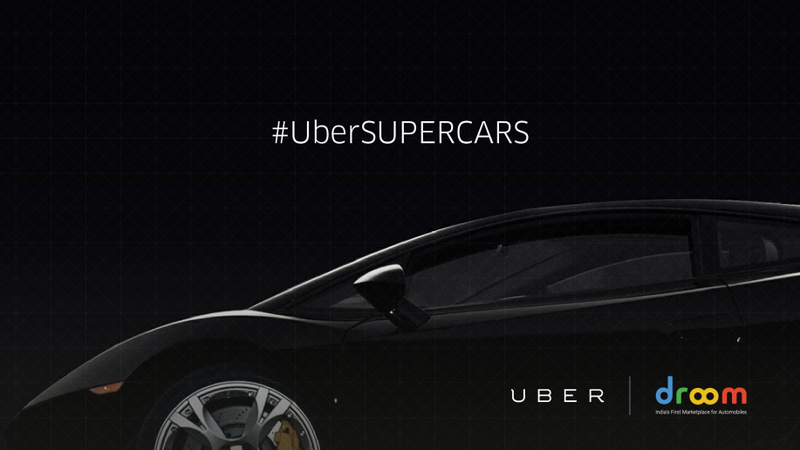 We have partnered with Uber to present ‘Supercars on Demand’. All you have to do is get on the Uber app between 1 to 4 pm on July 15th 2015 and tap on the slider to get your dream ride on demand and let us sweep you off your feet as you speed away! Droom gives you a once in a lifetime opportunity to rev up the roads in style. Don’t miss the chance to enjoy the world-class experience of cruising down the roads in a supercar reminiscent of a scene straight out of a Bond film, with Supercars on Demand! This will be a memorable experience for Uber and Droom users who can post on Twitter, Facebook, and Instagram pictures and videos with these supercars. Just use the hashtag #UberSUPERCARS and tag @letsdroom in all your posts. Surprise gifts will also be given away to select riders. Time to fasten your seatbelts! With the largest collection of supercars anywhere in India, Droom is India’s first marketplace to buy and sell used and new automobiles. Log in to droom.in – your one stop shop for all things automobile – from bicycles to planes, insurance to auto loan! its 15th July 2:30 PM at Bangalore, i have uber app and i count find how this joyride!!! Hello admin ! I read your page everyday and i must say you have hi quality posts here.